Harness machine learning to understand the future lifetime value of your customers by way of the Big Squid Lifetime Value Block. Do you know who your most valuable customers are likely to be? Are you engaging them in best way? Do you know what drives these customers to be loyal, value customers of your business? 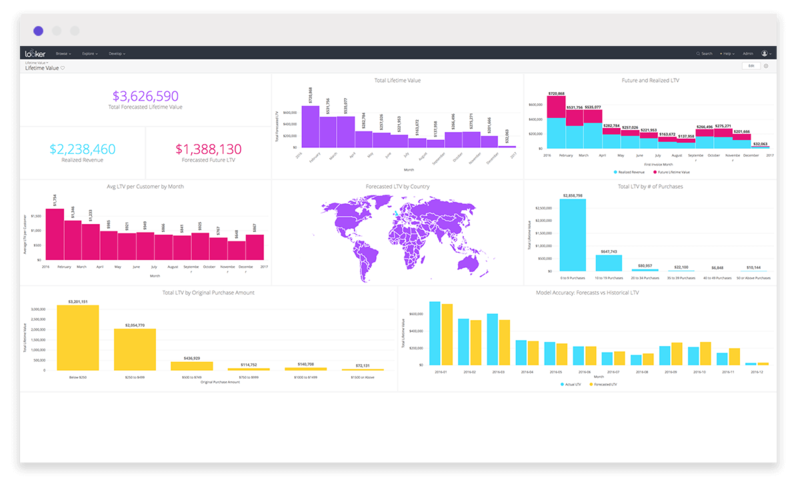 Big Squid’s machine learning platform extends your investment in Looker by analyzing customer behaviors and traits to forecast their lifetime value and what drives it. Identify and target customers early in their life cycle, take action, and increase the value such customers bring to your business. 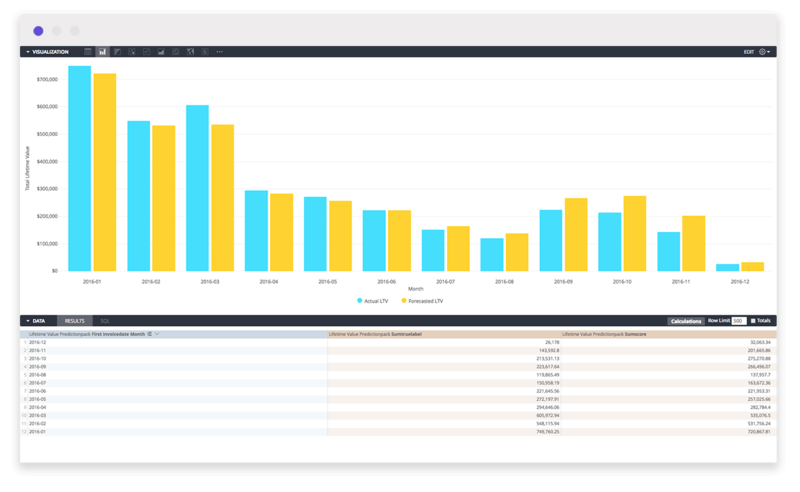 Big Squids Lifetime Value block allows companies to create machine learning models understand your customers’ future lifetime value. This includes examining critical questions like; What is the Lifetime Value of my individual customers, what drives their loyalty, and how do I create more of these customers? Use the Block to identify such customers early in the customer journey and tailor your engagement strategy accordingly. Knowing which customers to target to grow lifetime value, deploy limited resources to help cultivate these relationships with an understanding of the behaviors that drive and motivate high value customers. Then contemplate strategies to increase lifetime value and expand revenues. 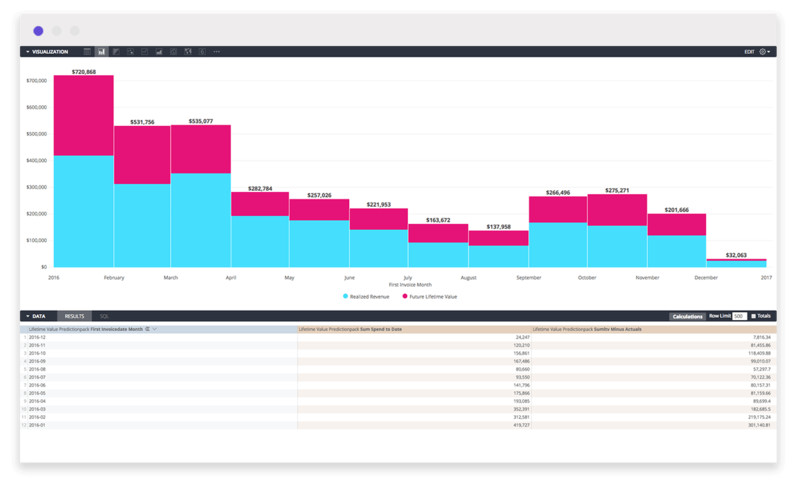 The Big Squid Lifetime Value block: Make Smarter Decisions, Faster.